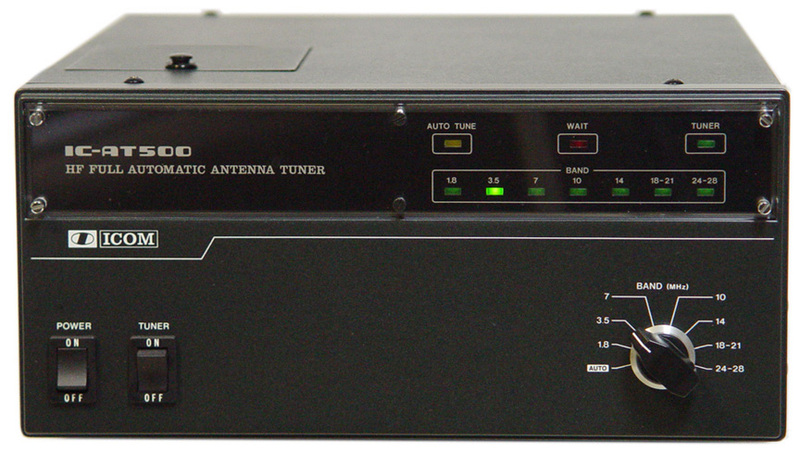 The Icom AT-500 is an automatic external antenna tuner for 160 through 10 meters. 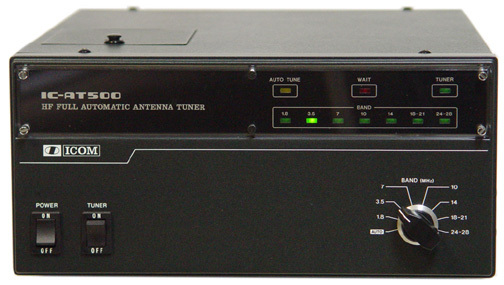 Specific frequency range is: 1.8-2, 3.5-4, 7-7.3, 10-10.5, 14-14.5, 18-18.5, 21-21.5 and 28-30 MHz. Power capacity is 500 watts continuous, 1000 watts PEP. Impedance matching is 16.7 to 150 ohms to 50 ohms resistive. Minimum tune up power is 50 watts. 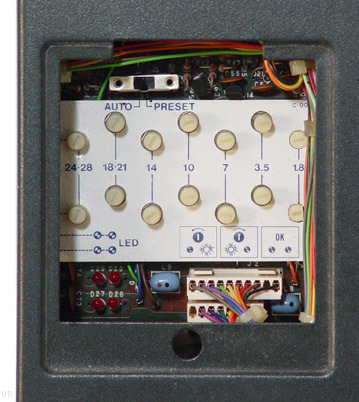 The top panel access cover opens for adjustments for the Auto/Tune Preset switches, preset timers and Preset Indicators. The AT-500 rear panel features one input SO-239 jack and four output SO-239 coaxial antenna jacks. Tune-up time is typically 4 to 7 seconds (3 seconds on the same band). The power requirement is 13.8 VDC or 117 VAC which is selectable from the rear panel. (241x111x300mm 6.4 kg). 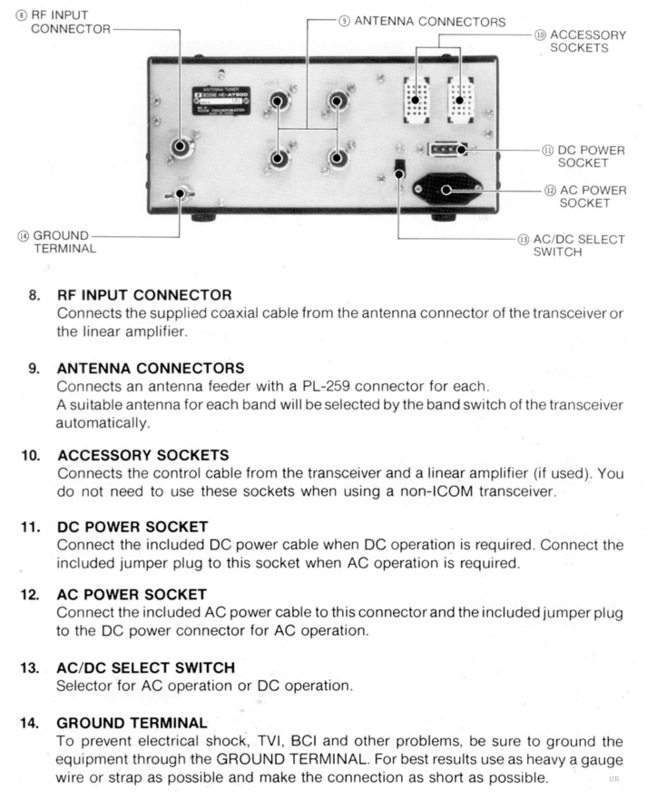 The AT-500 provides auto-band switching with several Icom transceivers including the IC-720A and IC-730.